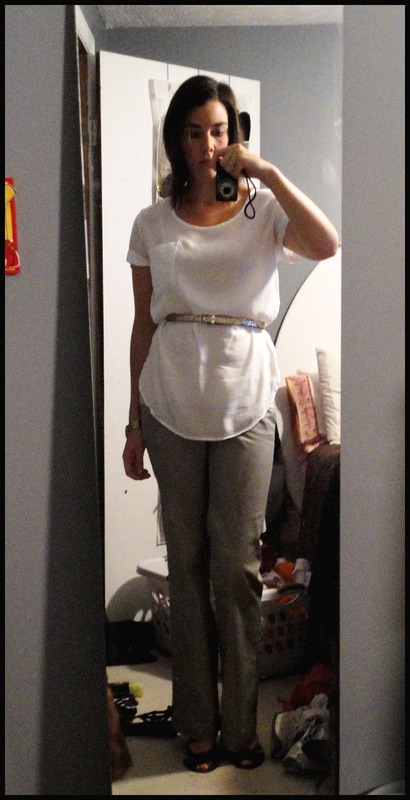 I have to say posting these outfit pictures makes getting ready for work a lot enjoyable! Here's a few outfits I wore last week. cute! I love the flowy white top with belt. so cute! I love the second outfit...so simple and chic! I like the 3rd outfit with the blue top and didn't-make-it-all-day heels. :) I can totally relate. i love that old navy skirt! it looks great on you! :)you were rockin all yo outfits girrrl!! Wow, I'd love going to work if I got to dress like this! Im really really likin' that 2nd outfit with the loose white shirt.. such a classic color combination that always looks great! You look super cute! Maybe I'll start participating in WIWW...might motivate me out of my same ol' same ol' routine! Totally love that second outfit...the white blouse is amazing!